As usual a shopping trip to and from town involves cutting through the churchyard. I took my camera along this morning. 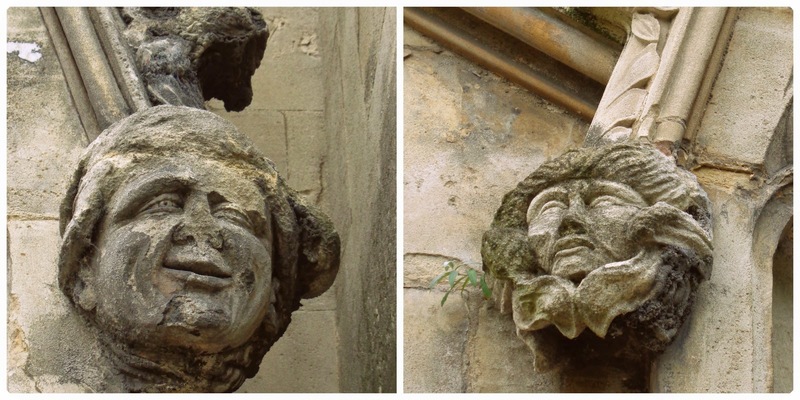 St Matthew's churchyard has been part of our lives for as long as we can remember. A few minutes walk away from our childhood homes and the house we now live in. There are different routes to take but this one is far quicker and a lot more picturesque. The church has dominated the town's skyline since the Thirteenth century. Currently undergoing some restoration it remains an oasis of calm after a morning spent being jostled by the sweat pant and pyjama (yes, really) wearing shoppers. The familiar names on the headstones are like old friends. Joseph was a leather worker, the trade Walsall is still famous for. Our house was built in 1760 so, as locals, those buried here would have walked past our house every day of their lives. As children we were told that these mummy-shaped caskets were placed over graves to prevent body snatching. Isn't it amazing to think that Ann Sly was alive at the same time as the French Revolution and the American War of Independence? Relict means the surviving member of a marriage after the spouse has died. The Celtic cross marks the family grave of the Newbolt family, possibly ancestors of the poet, Sir Henry, a Walsall resident. The road between our house and the church is dotted with derelict workshops, some dating back to the days of the Industrial Revolution. The back-to-back terraces give way to smart Victorian villas, once home to the town's wealthy. The lady who lives in this gorgeous double fronted villa is a craft blogger! Jon staggers on ahead with the shopping. Part of the Victorian Highgate Brewery, named after the part of town in which we live. It went into administration a few years ago and we miss the smell of hops terribly! I've made many on-line friends during my five years of blogging. Some have vanished without trace whilst others, no doubt, tire of my tales of trips to India, festivals and an uncompromising vintage lifestyle and stop visiting. Some, like my friend Janet of The Gardener's Cottage, remain a constant beacon of inspiration in an on-line world that all too often can become awash with sponsored posts, freebies & shameless self-promotion. A couple of years ago Janet interviewed me for a series of posts she called "Owning Your Style". As I've done little else but buy, sell, wash and repair stock this week I thought I'd repeat the interview for those who missed it the first time round. To own your style you'll have to find it first. For me this came about by ditching buying retail completely and only shopping second-hand. Buying from fashion stores limits your choice to what the professional buyers consider fashionable (the same shaped trousers and skirts, in-season colours or "it" prints) whereas second-hand shops are a hotch-potch of absolutely everything and you just have to learn to trust your eye and instinct. After six months of limiting yourself to second-hand shopping you'll soon get a taste of what you're attracted to. 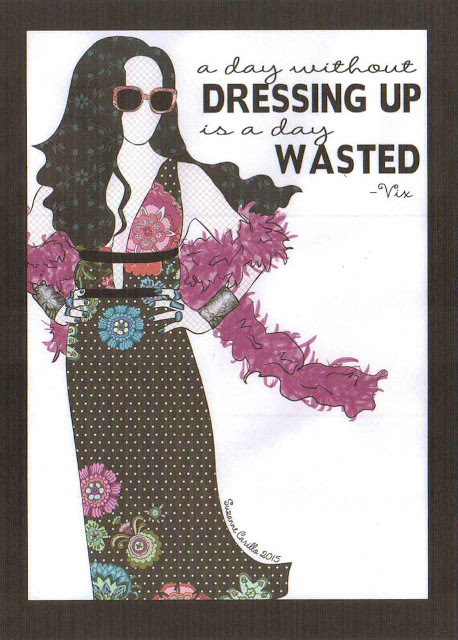 Regularly cull your wardrobe and give away/donate/sell anything that doesn't make you feel fabulous. If you have to ask others whether something suits you then it needs to go. 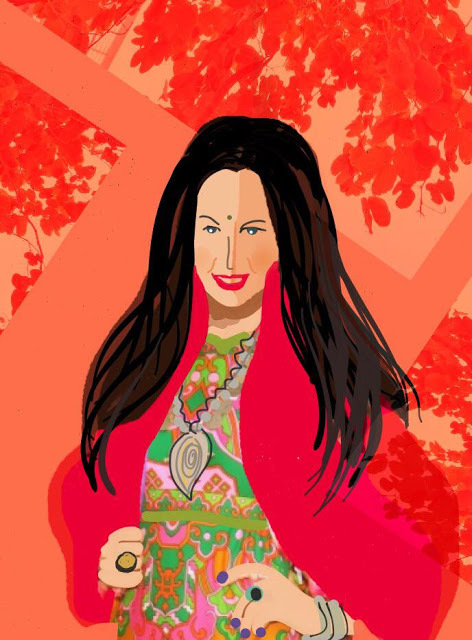 My trademark style includes statement pieces of ethnic jewellery, aged denim & vintage leather or suede and bright colours and loud prints. Including just one of these elements to any outfit means that everything I wear always looks and feels like me. Never allow an item of clothing to "wear" you, own it by adding tried and trusted pieces so that the real you shines through. A necklace fiercely haggled over in an Indian village, a 20-year old denim waistcoat roughly patched together, a tote bag hand-made from a curtain salvaged from a relative's rag bag or a top remade from your boyfriend's old band tee shirt add personality, substance & texture to any outfit I dress in. Fashion? All that means is following what is currently popular. Who wants to be part of a herd? Finding your own style means you'll never feel inadequate, out-dated or boring ever again. We've got the whole weekend off - watch out pubs of Walsall! Jon & I live on different time zones. By the time he's awake I've already been up a couple of hours. This morning, having exercised, finished the washing and completed the mending pile I thought I'd log on to the Charity Retail website and research a new shopping destination as Ebbie, our 1970 VW Variant needed a run out. As you can see by the bags, my research paid off! 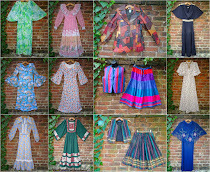 I did intend to take a few photos whilst out and about but the standard of the charity shopping was so good I'm going to have to keep my new found destination under wraps. 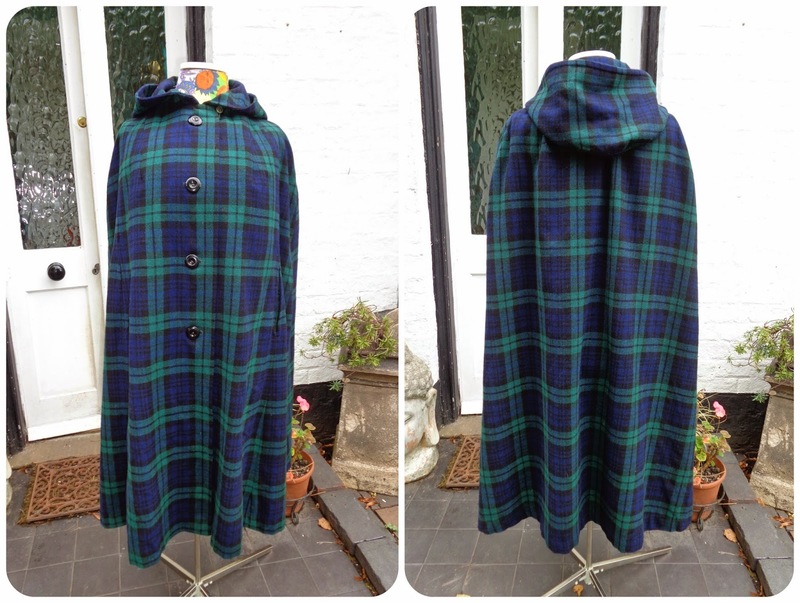 I commented on Patti's latest post that I wasn't that keen on tartan but I'd have been a fool to leave this beautiful hooded cape behind. 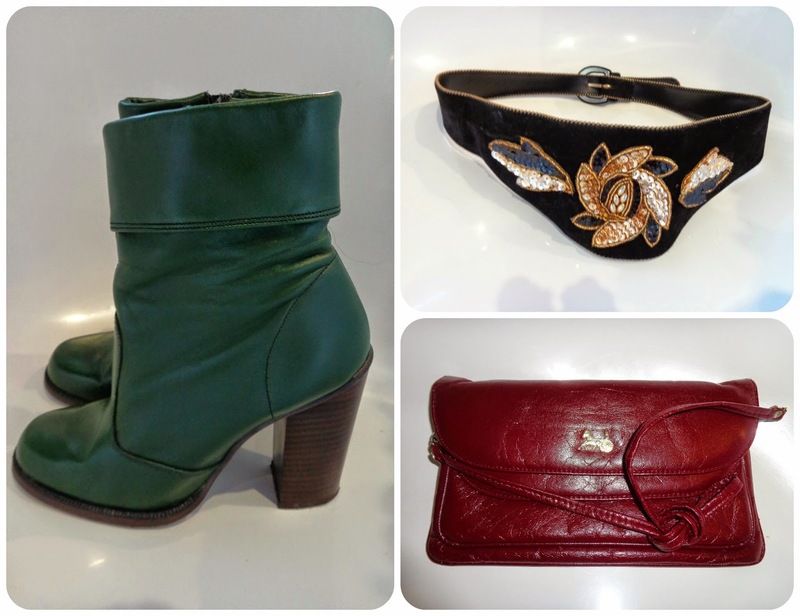 Oh, how I wish these stack heeled green leather 1970s boots fitted my huge hooves! The belt is by Otto Glanz (an accessories label I used to lust over in Rackhams back in the 1980s) and I loved the horse and cart motif on the 70s Debonair shoulder bag. This 1960s gents worsted wool overcoat is of the most incredible quality. Too big for Jon but as its a much sought after XL it'll soon find another home. Check out this pure new wool English-made 1980s jumper adorned with rabbits, hedgehogs and badgers! My Dad always used to refer to these vinyl overnight bags as "grips", RAF slang, maybe? Should it stay or should it go? This gorgeous Modernist 1960s white leather jacket was originally from the very posh Simpson of Piccadilly. It suits Jon a treat but India beckons. This 1950s day dress is in super condition, as crisp and as colourful as the day the previous owner made it. I initially thought this rhinestone-trimmed satin dress with a grey lace overlay was from the 1950s but on closer inspection the hook and eye and press stud fastenings along side seam indicate that its earlier. Isn't the colour glorious? 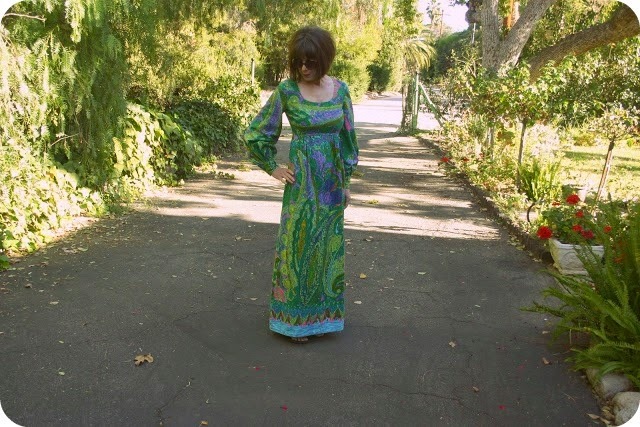 Not one but two hippy-tastic maxis. The cotton caftan is handmade and the tiered floral number with the green velvet bodice by Glaswegian designer Marion Donaldson. 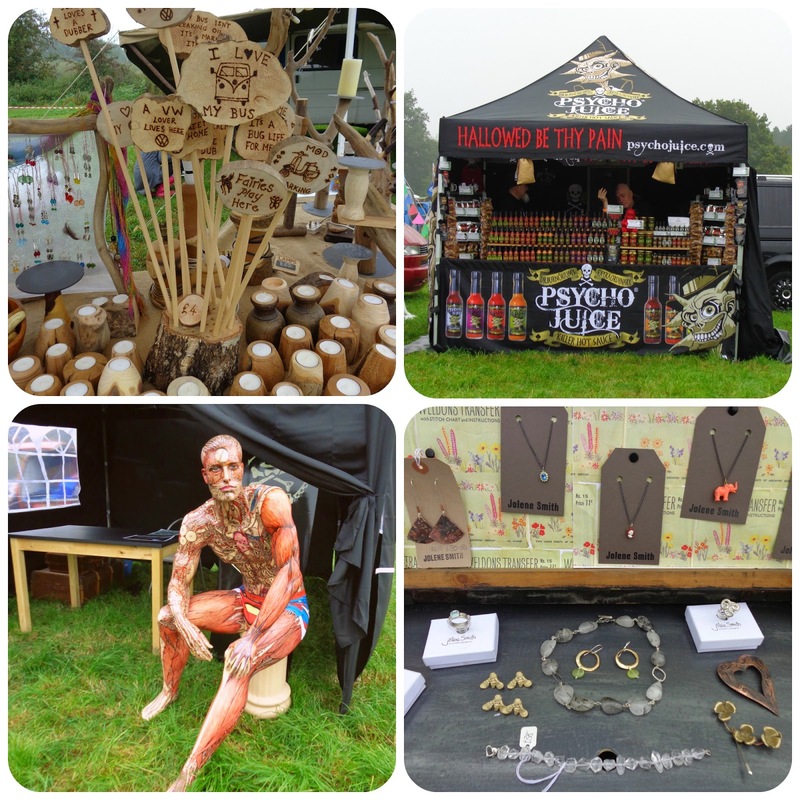 So that's it, after eight festivals, this weekend marked the final one of 2014. Life on the road is over for another year. Grabbing a book to take away with me I spotted one of my favourite reads, How Not To Run A Club on the shelf, Peter Hook's tale of the rise and fall of Manchester's legendary Hacienda, wondering if I'd be substituting club for festival as a possible blog title when describing our weekend. Muddled emails and telephone calls requesting information we'd sent weeks previously, trading pals dropping out at the last minute and an inclement weather warning, we wondered whether the very first V Dubs in The Valley was doomed to fail before it had even started but with the pitch paid for months ago it was a weekend away if nothing else. Our initial misgivings couldn't have been more wrong. 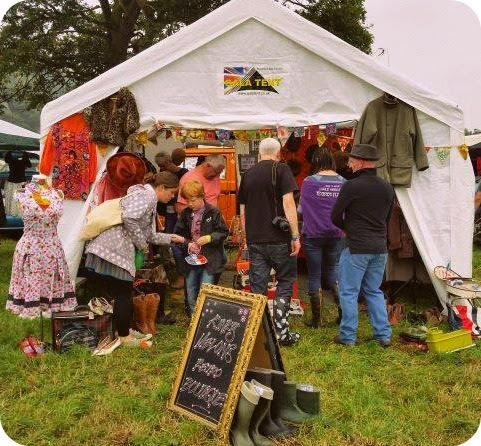 The location, a picturesque valley minutes away from the historic town of Bridgnorth, along with the warm welcome we received as soon as we arrived on site, immediately put us at ease. We parked, pitched up and were set up & ready for action (with the first cider on the go) by the time our mates arrived. 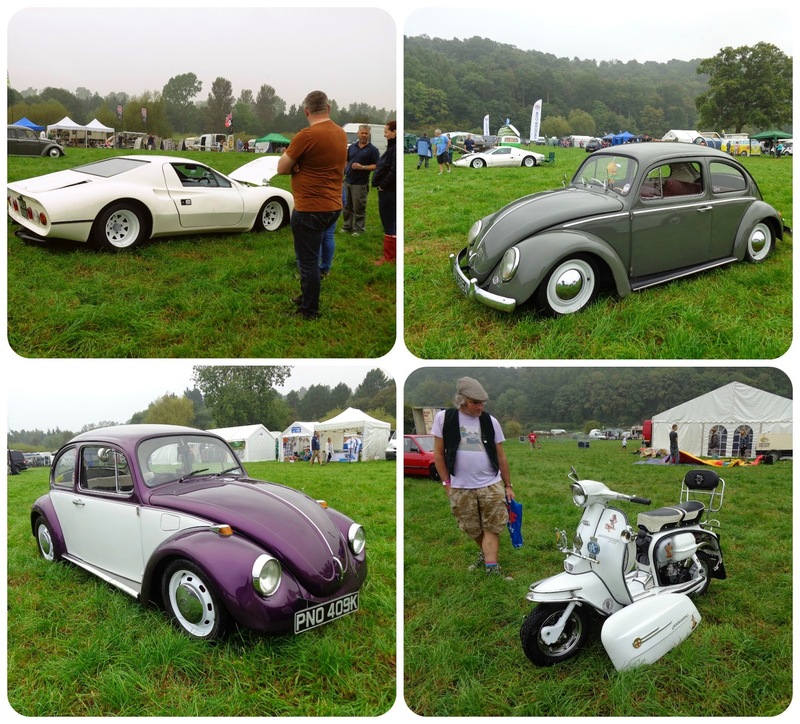 Initially an intimate end of season event for a few hundred VW enthusiasts, demand for tickets was so high that the original location was changed & more tickets released, developing into a sell-out weekend with over 1,200 campers and hundreds more day visitors paying on the gate. An impressive variety of food stalls, inexpensive booze, live music, an old skool disco, a scooter rally, a large car & bus display and, crucially, loads of immaculately kept portaloos. And, for late September, the weather wasn't too bad, either. The mist looming over the valley looked far more menacing than the reality. The man with the auto jumble was a dead ringer for Hunter S Thompson. and Jolene with her handmade silver jewellery (HERE). 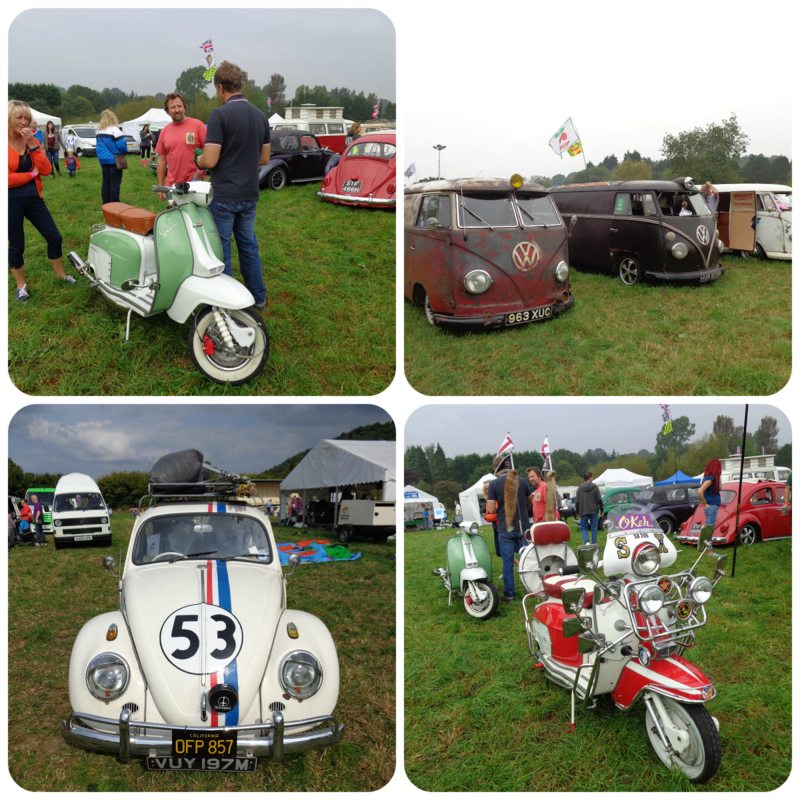 We've met this lovely couple and their two tiny Jack Russell dogs (the baby is under the table) at previous VW events. I went AWOL for ages chatting to them back at their van. Taking a book with me? What was I thinking? That was about as misjudged as our expectations for the weekend. V Dubbers are a mixed bunch, people of all ages and backgrounds united over a common love for a brand. A huge cross section of people attend shows and vintage is still rather niche. 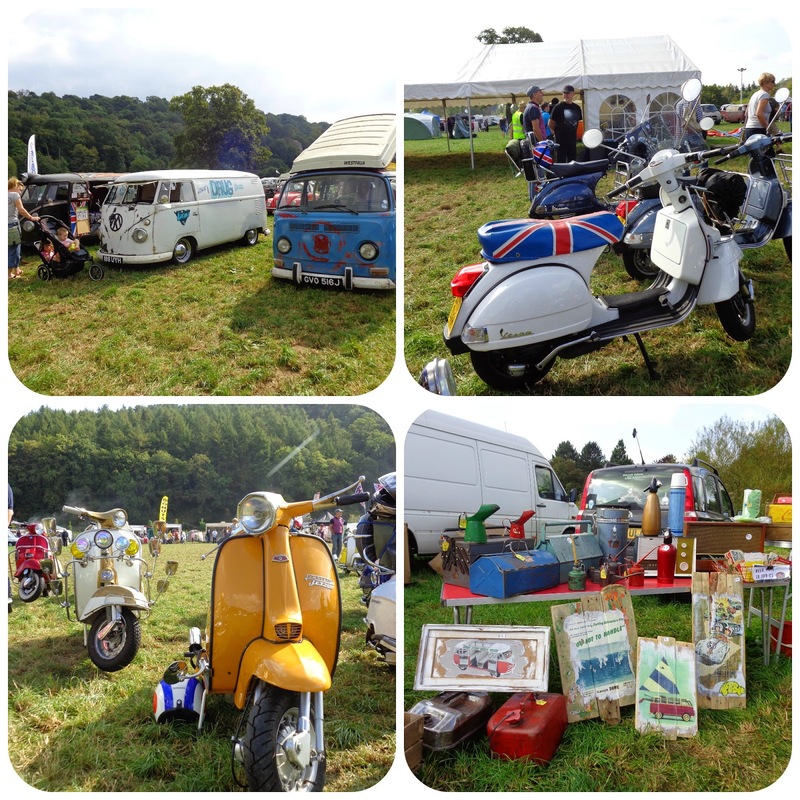 Luckily having a classic air cooled bus visible from our pitch and having been regulars on the VW scene for over 8 years means we're recognised and visitors love to pop by for a chat, a catch up and a casual browse, often ending up falling for some of the stuff on display. This was all I read, a couple of articles from this month's Chap magazine over crumpets & coffee snatched before we opened for business, kindly donated by new friend who'd christened our style "Cool as f*ck". And now to the downside, unpacking Gilbert, putting away the stock and tackling the mountainous washing pile.